The Dragon capsule, luanched with the private Falcon 9 rocket, just was captured successfully by the International Space Station, making SpaceX the new big boy in space travel. The capsule represents a first step, but a big one — NASA outsourced resupply of the ISS because they’re bloated bureaucracy and risk aversion means they can’t launch an Estes rocket without a white paper, a few hundred million, and a dozen launch holds. Government will be the customer for a while longer, but this is an important milestone in space — moreso than the suborbital flight of SpaceShip One. 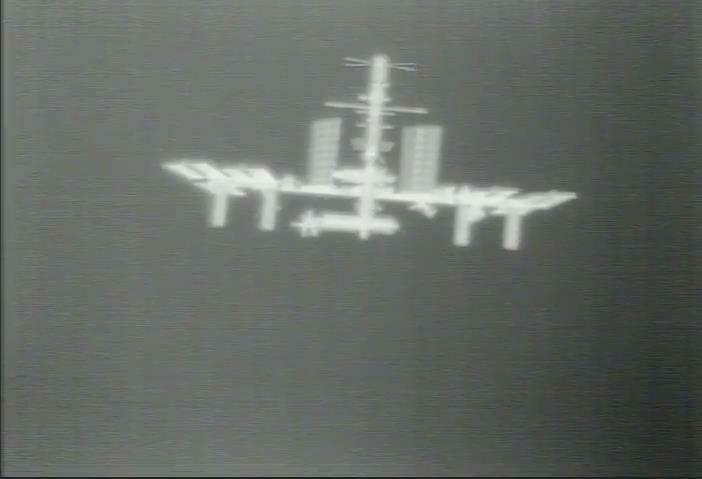 The International Space Station seen through Dragon’s thermal camera.